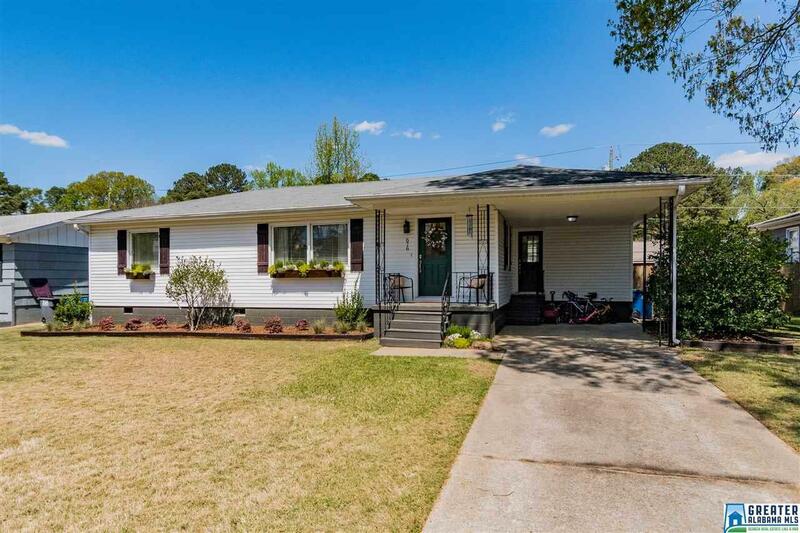 676 Oakmoor Dr, Homewood, AL.| MLS# 845429 | Richard Jacks UABLIVING.com 205-910-2297 | Birmingham AL Real Estate | Contact us to request more information about our Homes for Sale in the Birmingham AL area. Open floor plan in West Homewood? You betcha, this single level home has 1,670 sqft of living space! More updates than you can imagine. You have to see this one for yourself. As you walk up to this house you will notice it has been freshly landscaped and painted just in time for spring. Dark Hardwoods flow throughout the house with an open concept floor plan. The kitchen is spacious, with stainless steal appliances, granite countertops, and access to your back porch for easy entertaining. In the back yard you will find a storage shed, a freshly painted deck along with ample amounts of yard space. The Master is large enough for a king size bed, has an ensuite bathroom along with a walk in closet. If that wasnt enough this house is just a short stroll to Patriot Park, ASH, GM Pizzeria, Magic City Sweet Ice, The new Patriot pool, and Seeds Coffee. Schedule your showing Today to be the first one to see this adorable house. House goes active April 4th at 8am! Driving Directions: I-65 Oxmoor Exit. Bear Left At The Oxmoor Light. Second Light Turn Left Onto Oakmoor Drive. House Will Be On The Right.